ACS DR Teams and volunteers from both the Carolina and South Atlantic conferences are working tirelessly to provide relief to communities within the State of North Carolina. On Tuesday morning, they joined the Abney Chapel SDA Church in Fayetteville, NC, to assist with food distribution. Individuals that have been affected arrived at the Community Center to get both hot meals and nonperishable food items. Despite the challenging situation, many had pleasant and even jovial conversations with our Team members. Several of our partners from the city and faith-based communities have made donations to our Community Center. Some of the city leaders have even asked our Teams to assist them also during this tragic time. The Carolina Conference ACS DR Director, Phil Rosburg, opened up a Warehouse in Winnesboro, South Carolina to receive and stock donated products. 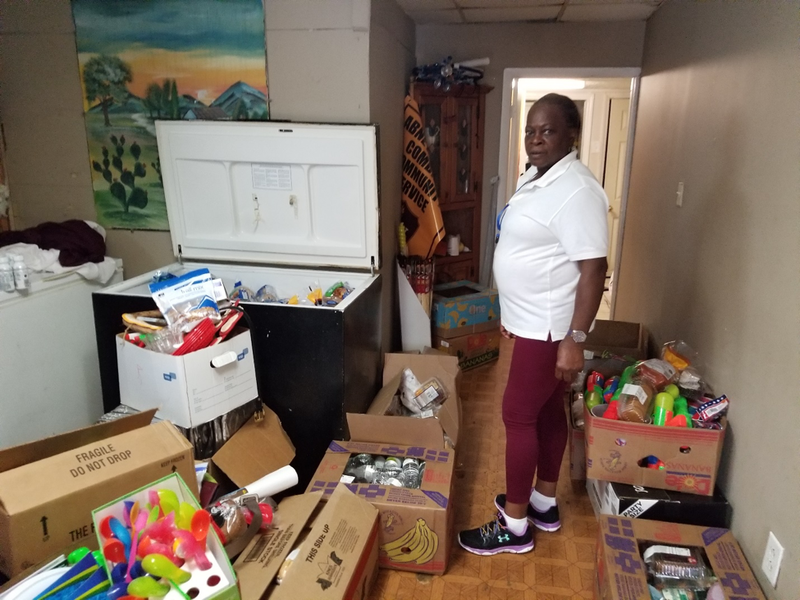 He delivered a 28-foot truck from the Warehouse stocked with needed items for a Distribution that took place at the Ephesus SDA Church later this week. The flood waters had severely affected homes in the communities and surrounding areas. Residents were desperate for food as many of their homes had taken on water and contaminated the products they had. With stores still not open, many were unable to obtain necessities needed for daily living. On Wednesday morning, the Ephesus Church building and parking lot turned into a Distribution site for the community. People from the neighborhood who had come for our services were accompanied by our Team members and given food supplies and household items. For seniors and others who could not carry their own items, young volunteers used hand trucks to carry these items for them. Community members were also offered a hot meal prepared by a local chef and served by ACS DR members. W. Derrick Lea, NAD ACS DR Director, met with the Carolina Conference ACS Director and the pastor and staff of the English SDA Church in New Bern of how best to assist the community. 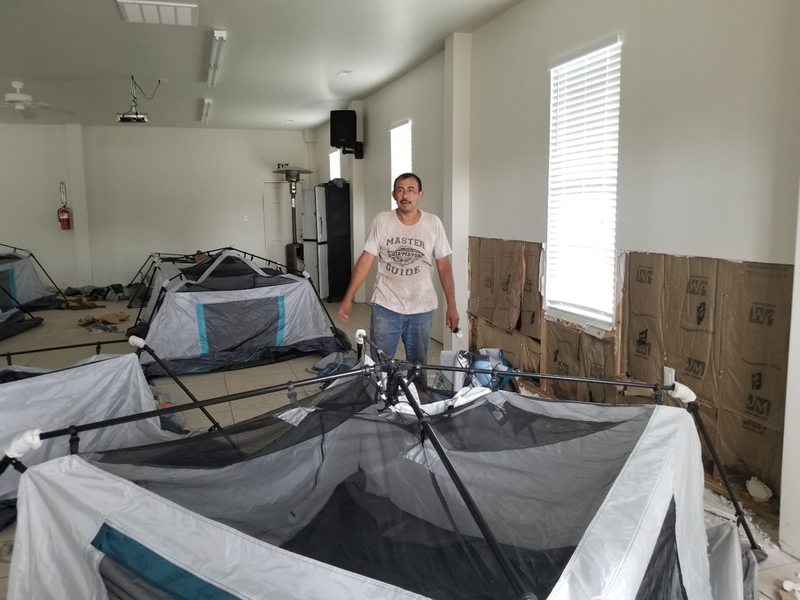 Their sister Church, the New Bern Spanish SDA Church, had been housing over 200 people in their church building who had run out of food, and were apprehensive about seeking governmental help as IDs were being requested. However, the church was decimated with over six feet of water during the height of Florence. The airplane delivery of food was helpful in sustaining the people during their initial recovery. All of those that were being housed had to be evacuated and now were spread out in the city at various shelters. As the current needs of the affected population are being discussed, it was pointed out that the greatest need was for shelter and cleaning materials. Many stories and testimonies were shared of families that had lost everything. Our Warehouse in Winnesboro will continue to be involved in distributing supplies to the communities in both Fayetteville and New Bern. The Ephesus and the New Bern English churches will work together to determine how supplies are delivered in the most efficient way for the two communities that have experienced this traumatic event. Volunteers unloading donated supplies from the truck to send to Distribution Centers. ACS volunteers unloading the truck filled with donated goods. Judy Tony, our ACS lead at the Community Center, organizing the donations that have poured in. The ACS DR Team discusses our Recovery Efforts with Councilman, Larry Wright of District 7 in Fayetteville, NC. Residents arriving at the Distribution Center set up at the Ephesus SDA Church. Young ACS volunteers help senior citizens deliver products. ACS members serving hot meals to the community. ACS Team members organizing the donations at the Warehouse. The Spanish SDA Church where over 200 people were housed before the flood waters forced them out. ACS Director and local elder show how water came above the air-conditioning unit of the Spanish SDA Church of New Bern. The pastor and first elder of the English SDA Church of New Bern discuss continued Efforts with W. Derrick Lea, NAD ACS DR Director.